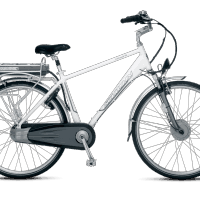 Schwinn will be releasing a new series of electric bikes this summer, with the motors and batteries seamlessly integrated their overall design. 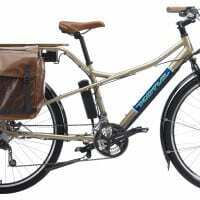 The bikes will come with a lithium polymer battery that Schwinn says is the lightest and most durable on the market. One charge will last approximately 60 miles. The bikes also charge faster than most electric bikes &#8212 they become fully charged in less than 4 hours. You remove the batteries to charge them, so there are no wires on the bike itself. We will be interested to see if these bikes live up to their specifications. The price for these bikes ranges from $1499 to $1999. I’d like to own one of these Schwinn electric bikes, but I can’t find anyone who sells them. I’m in the Midwest, and there’s not much demand here yet. Any suggestions? where can i get these lightweight batteries??? It’s a shame about the price of these bikes. My wife and I currently share one vehicle and we both work. My job is within 3 miles of our home and an electric bike would be superb considering I could beat most of the morning traffic to even at a bicycle’s speed. I guess you gotta pay for the latest and greatest. Anyone know of any alternatives to these top-of-the-line schwinns? charge from pedalling, that would be even more eco friendly. nicked – even with a d-lock and cable, mine got taken a few weeks ago.